Supplier & Trader of Chain Saw. Our product range also comprises of Rotary Hammers, Demolition Hammers and Impact Drills. 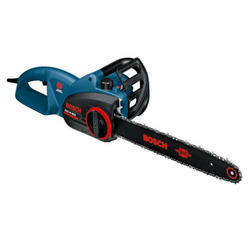 Being a reliable supplier and trader, engaged in offering our clients with Bosch GKE 40 BCE Professional Chainsaw . Our offered saw is used for precise and prompt cutting, owing to which demanded across the nationwide market. Available in different specifications, the offered saw is offered at industry leading prices.